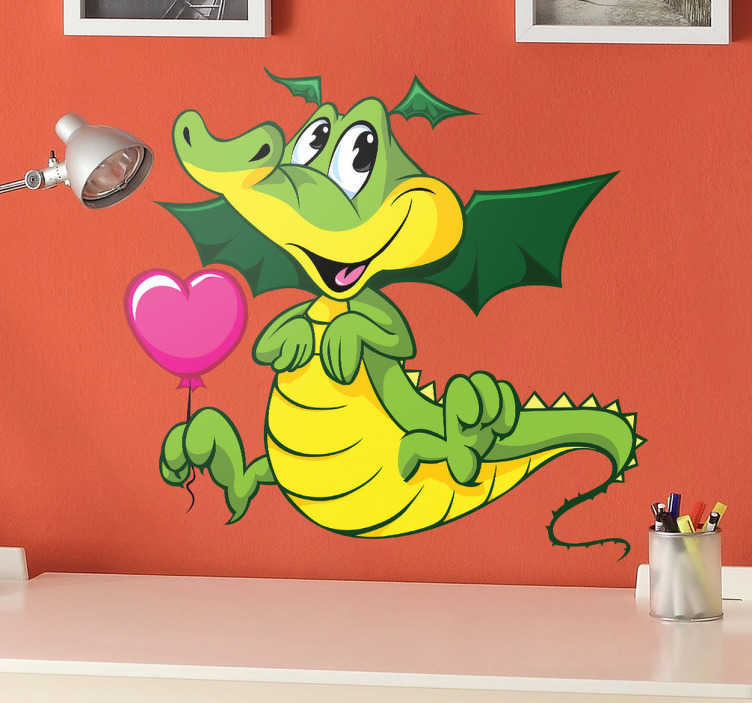 Kids Wall Stickers - Adorable and cute comic illustration of a smiling baby dragon holding a heart balloon. Ideal for decorating areas for children. Available in various sizes. Made from high quality vinyl. Easy to apply and easily removable.